Photo courtesy of Jerry Rohde Henry Neff Anderson's home (still standing in 2007, when this photo was taken) overlooked the Andersonia mill. He built it for his new bride, the former Cora Patterson. Last week, we followed the saga of the Bear Harbor Railroad from the delivery in 1892 of a "Gypsy" locomotive — what would become Bear Harbor Lumber Company No. 1 — to the early 1900s, when the grandiose plans of lumberman Neff Anderson began to be fulfilled with construction of the mill town of Andersonia, about a mile north of Piercy on the left bank of the South Fork of the Eel river. Between 1903 and 1905, the railroad track from Bear Harbor on the northern Mendocino coast was extended — with great difficulty — from Moody to Andersonia, following Indian Creek. The route involved dozens of trestles, many more than 300 feet long, and a 200-foot-long tunnel through solid rock. (Another account says the tunnel was 600 feet long.) By the fall of 1905, the future looked bright: Nearly 18 miles of track ran from the Bear Harbor wharf to Andersonia; Anderson's Southern Humboldt Lumber Company was starting to harvest its 17,000 acres of timberland; the mill, capacity 120,000 board-feet per day, was nearly complete; a storage pond to hold 20 million feet of logs had been constructed behind a newly-built dam on Indian Creek; a new wharf was under construction at Bear Harbor; and it looked like Andersonia would soon become a station and junction on the planned Sausalito to Eureka railroad. Then tragedy struck. On Oct. 28, 1905, just before the mill was to start operating, Anderson visited the site while workers were adjusting a timber frame. A wooden brace fell, striking Anderson on the back of the head. He died a week later, having refused to be taken to the hospital in San Francisco. A further series of events sealed the fate of the operation: Winter storms damaged the Bear Harbor wharf, delivery of machinery was delayed, a portion of the railroad right of way was in dispute and litigation began between Anderson's widow and children from his previous marriage. But it was the San Francisco earthquake of April 18, 1906, that broke the camel's back. Not only did the tremor damage the mill and, especially, the log-holding pond, but landslides blocked the railroad. The "million-dollar mill that never milled" was left to the elements. To top it all, the Eel's South Fork never did see rail tracks. After years of competition, the two railroad companies — the Atchison, Topeka and Santa Fe and the Southern Pacific — came to an agreement. Since there was only sufficient commerce for one line between San Francisco Bay and Eureka to be profitable, they jointly formed a new company, the Northwest Pacific, in 1906. After eight years of tumultuous construction down the main fork of the Eel — considered a better route by engineers from both parent companies — the line opened in October of 1914. For decades, the railroad from Andersonia to the coast lay abandoned, until the rails were ripped up in the 1930s, leaving Bear Harbor Lumber Company No. 1 forsaken near Andersonia. 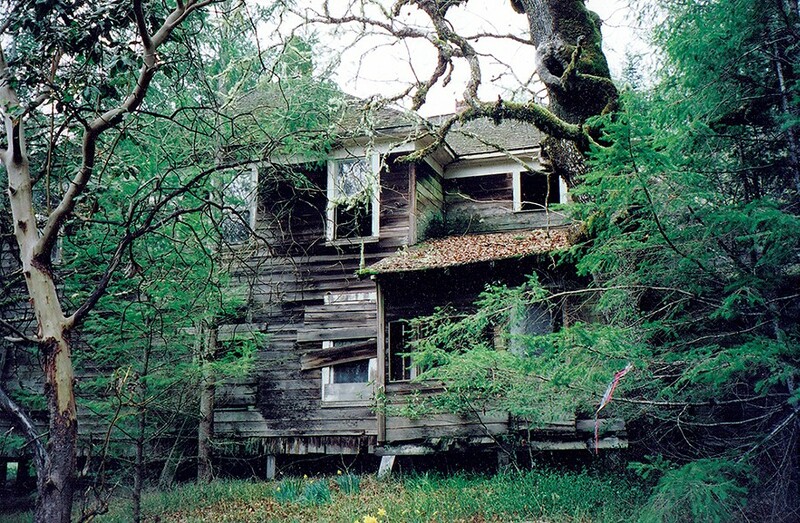 In 1958, Grant Anderson Jr., great-grandson of Neff Anderson, helped salvage the old girl and in 1977 she was shipped to Fort Humboldt State Park, where what is now the Timber Heritage Association restored her to her former glory. 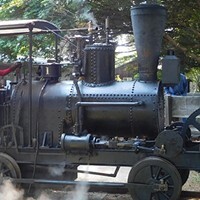 The group also restored the second locomotive on display at Fort Humboldt, the Falk, which is not a "true" Gypsy in that a separate cylinder from the driver cylinders powers the capstan. Bear Harbor Lumber Company No. 1's winch is powered by her two driver cylinders via an elaborate gear system. Of only 20 Gypsies ever built, Bear Harbor Lumber Company No. 1 is now the only working true Gypsy locomotive in the world. Long may she live. Thanks to Jerry Rohde and Mike Kellogg for help with this story. Barry Evans (barryevans9@yahoo.com) has never yet passed up an opportunity to ride on a steam train.